Cook pasta in a pan of boiling salted water according to packet instructions. Drain. Meanwhile, heat a chargrill pan or barbecue to high heat. Drizzle peaches with oil, then grill for 2 minutes each side or until grill marks are visible. Allow to cool slightly, then cut in half. 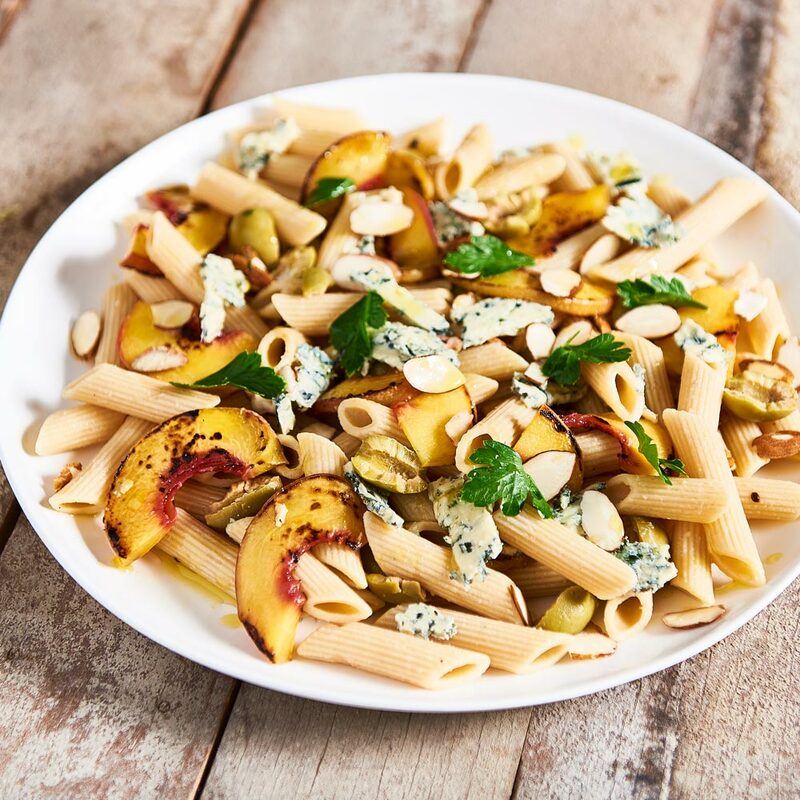 Toss pasta, peaches and all remaining ingredients in a bowl and serve warm or cold, scattered with parsley leaves.